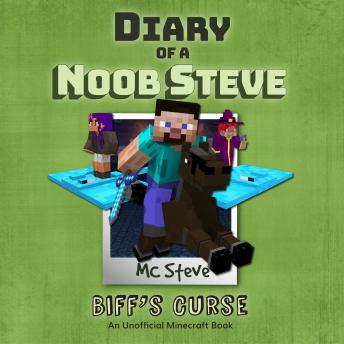 On the surface Biff's treasure map looks harmless, but looks can be deceiving.Noob Steve is on yet another adventure and his friends smart as a whip Courtney and boisterous Charles have decided to tag along. After meeting a very odd villager named Biff, Steve decides to make a trade with him that results in his ownership of an underwater treasure map.Things take an odd turn on the trio's venture towards the treasure though Steve looses his cool, along with his navigation and fighting skills, and Courtney and Charles have begun to act cruel to their close friend. Steve can't help but wonder if something is amidst with all of these bizarre occurrences, and Biff's creepy habit of showing up in the same places as the group. Steve is about to realize his gut instinct is correct that maybe the trade of his lifetime, was really a trade for his life. Will Steve get to the bottom of what is going on? What is the story of Biff, the strange and creeoy villager who seems to know more than he appears? Only time will tell when you read Biff's CurseBiff's curse will engage any young reader, keeping them on the edge of their seat as they follow the characters through the plot line. This is the perfect holiday pick for your favorite Minecraft fan!